The 2014 Winter Olympics have come and gone from Sochi, Russia, but that doesn’t mean that the city should leave your radar. While the hash tag “#SochiProblems” might have been popular before and during the Olympics, their impact on typical travelers to Sochi is highly overrated. In fact, it’s likely that a visit to Sochi wouldn’t even include the Olympic Park area because it is rather far from the downtown, port, and beach areas of the city. In this area, you’ll find many charming ttels, quality restaurants, and large swimming pools. In fact, the only #SochiProblems that you might have is forcing yourself to leave the calming waters of the Black Sea to move on to your next destination. 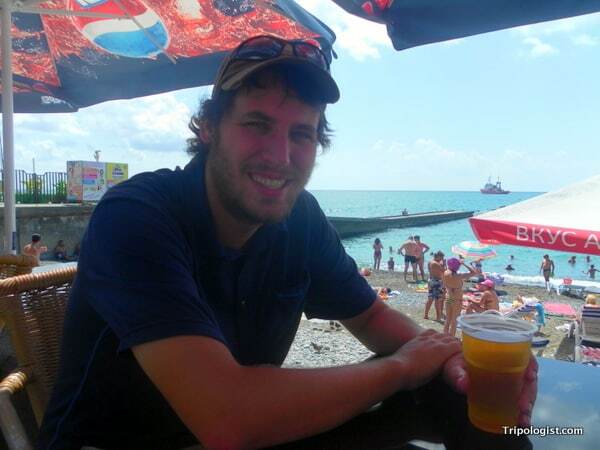 So, if you’ve thought of planning a trip to Sochi or are using it as a transit point to/from Turkey, here are five great things you can do to pass the time in this charming Russian beach resort. 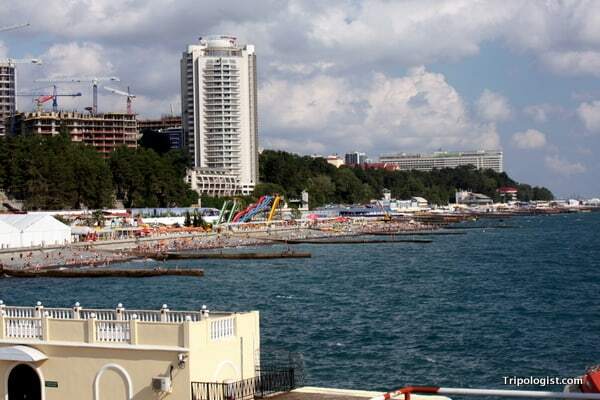 By far the biggest draw for travelers to Sochi is the stunning Black Sea coast. With over 90 miles (145 km) of Black Sea coastline, Sochi is a fantastic destination for beach lovers. The area near the port is the most popular with visitors. This area features a fantastic boardwalk filled with shops and restaurants, along with miles of relaxing beaches and nearby hotels. No visit to Sochi would be complete without a dip in the peaceful Black Sea. Me enjoying a beer along the banks of the Black Sea in Sochi. Since Sochi is home to some of Russia’s nicest weather, it should come as no surprise that the city has been a popular destination for Russia’s leaders. Russian President Vladimir Putin and Prime Minister Dmitry Medvedev have been known to frequent the town, but it’s Soviet leader Joseph Stalin who is most associated with the region. Sitting above the city in the forested foothills of the Caucasus Mountains, Stalin’s home has been well-preserved and is open to visitors. If you visit, keep your eyes and ears open because rumor has it that Stalin’s ghost still resides at the home. Sochi is home to two sets of crumbling Byzantine-era ruins. And while neither are much more than overgrown ruins, they are certainly interesting to visit. The oldest is Godlik Fortress, which was built in the 5th-century. It’s also worth making the trip to the nearby Loo Temple. Originally built in the 10th century, it was repaired in the 14th and 17th centuries, but isn’t in much better shape than Godlik Fortress. It might surprise you to discover that Sochi is home to a tea plantation. Located on a hillside outside of town, Dagomys Tea Plantation is not only Russia’s only tea plantation, but also the most northerly one in the world. A visit to Dagomys Plantation will give you a rare chance to try Russian tea and learn about the culture surrounding it. 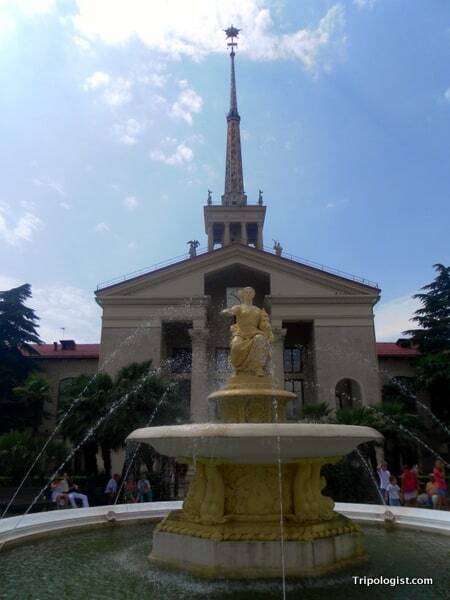 A beautiful building and fountain near Sochi’s port. Like many Russian cities, Sochi is full of fantastic architecture. Looking more like New Orleans than a stereotypical Eastern European city, a walk through Sochi’s downtown is sure to charm. Whether you’re looking at the port, train station, art museum, or any of the other buildings in the city, it’s unlikely you’ll find prettier architecture outside of Moscow and Saint Petersburg. Find somewhere great to stay in Sochi, Russia! Have you been to Sochi, Russia? What are your favorite things to do in the city? Let us know in the comment section below. Sochi sounds like an interesting place. I would really like to relax by the Black sea and visit the tea plantation. 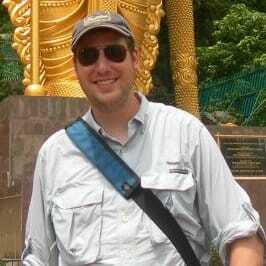 I am curious to discover how different it is from plantations in India. Nice website. Just found it. Just wondering what the best hotel would be , around the beach hub of Sochi ? Small, large, cheap, expensive (no matter) Seems to be a lot of sprawling big hotels are nowhere near the “heart” of the place where everyone hangs out. Take your photo in this article for example, is there a seaside hotel right near there? When I visited a few years ago, there were hotels along the seaside, and they were building even more. I just walked around until I found one with a vacancy. It was at the end of the boardwalk, but had a beach and was within 10 minutes of the main area of the boardwalk.